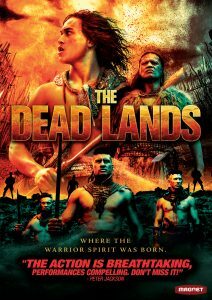 The Dead Lands offers myriad of tribal warrior codes, brutal combat and near mythical depiction of ancient culture. Though it may set in archaic time, the visual is crisp and portraying the natural landscape with elegance. Clash of flesh and weapon are aplenty, this is not for the viewing of fainthearted as the scenes are surprisingly full of gore and blood. Its premise is quiet simple. A boy’s clan is attacked by the opposing rival clan led by the ambitious son of their chief. With false pretext and sudden ambush, the clan suffers greatly. The boy then must walk the path of vengeance which leads him to a scared ground and a warrior with dubious past. Acting-wise the film is brash, filled with both honor code and battle cries. Casting looks good, the actors physically look intimidating. The old warrior has menacing air as one who has been shouldering heavy burden his entire life. This is an anti-hero story as well as how honor can mean so differently for each person. The characters all have their own salvation to search, but they do so with significantly different paths. Relationship between the boy and the warrior is interesting since both of them barely agree on anything yet still strive for a common goal. Fighting is especially well-choreographed. In a few scenes there are mutilations which will make audience cringe, these are honestly rather unexpected. It’s nice to see that the film includes a lot of Maori myth and style with motions as well. There’s inclusion of mythology for unworldly presence, it’s presented dynamically as how the ancient people would see it. Unfortunately, the film possesses a couple of flaws. It’s very combatant oriented, so some of the philosophical themes might not translate well for broader audience. The film has stumbled in halfway point as the visual gets uncomfortably dark and the pace halts. Still, even with several hindrances, The Dead Lands is a great and brazen cultural visit.